Diving in the Aegean is magic, its crystal clear waters, it´s lack of currents, or tides makes it a very relaxing environment to dive. 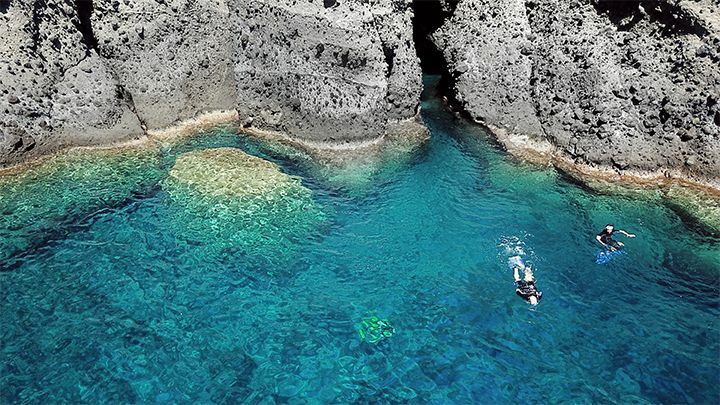 The volcanic morphology of the island brings many different underwater landscapes for all kind of diving, from shallow dives to wall dives, volcano, wreck, shore, boat, lava, Posidonia meadows, reefs, caverns, and marine protected area… all in one small island like ours. 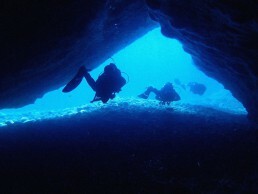 In our diving trips you will do two dives visiting two different dive sites, our excursions are with boat or by truck around the magnificent volcanic shorelines of the island. 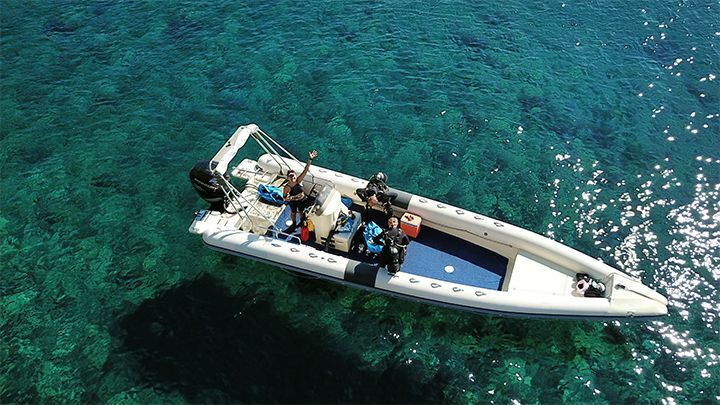 Starting at 9 and coming back around 14 – 14:30, you´ll find all your equipment ready and loaded, all you´ll need to do is to try wetsuit and boots, leave everything else to us. 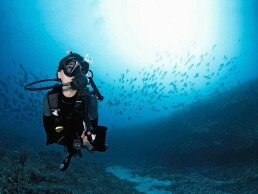 All the equipment is included, also snack and water between the dives. We dive in small groups of maximum 6 people, and we divide our divers according to their level of experience and certification, so everyone can enjoy and have fun. If you fell that you need a refresh, or you want to dive with your private PADI professional, we can accommodate all your needs, with our 5 star service. Check our TripAdvisor for more references! 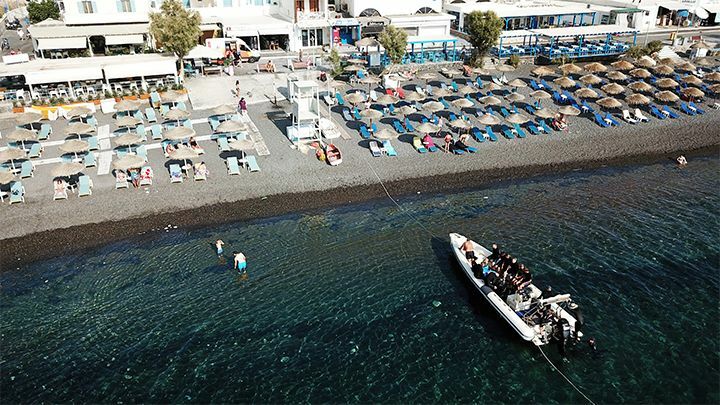 Ready to explore the magnificent volcanic waters of Santorini?Sign now for our daily certified divers excursions.Two dives in one morning that will make you discover the crystal clear watersof the Aegean sea and its ancient beauty.